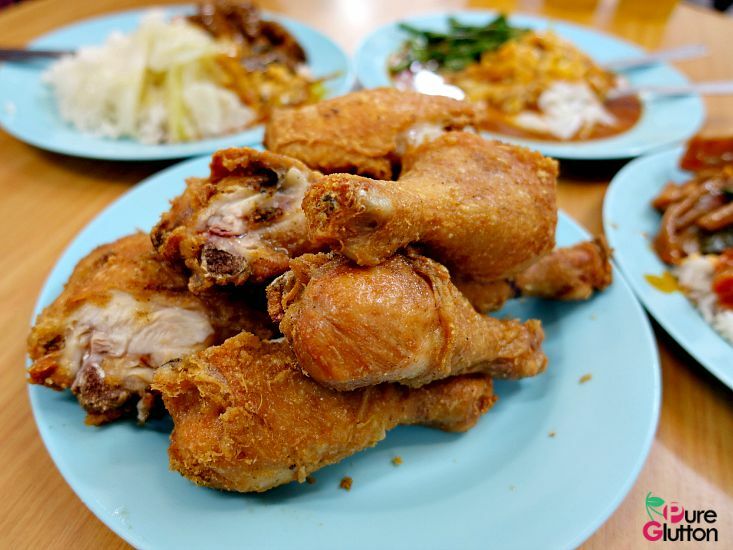 I first blogged about this well-known Fried Chicken way back in 2008 (read that here). 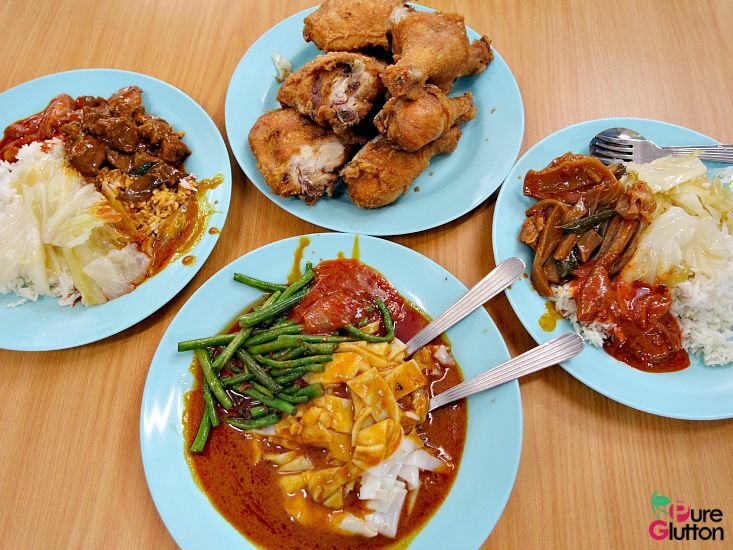 Mr Lim started his business as a stall in Wong Soon Kee Kopitiam in SS14 Subang Jaya and the queues for his fried chicken snaked all the way along the five-foot-way outside. I have been a fan all these years, taking my place in the queue, either to eat in the kopitiam or to “tapau” as takeaway. The delicious aroma of the fried chicken coming from the huge wok where Mr Lim stood tirelessly tending to, was quite simply unbearable. 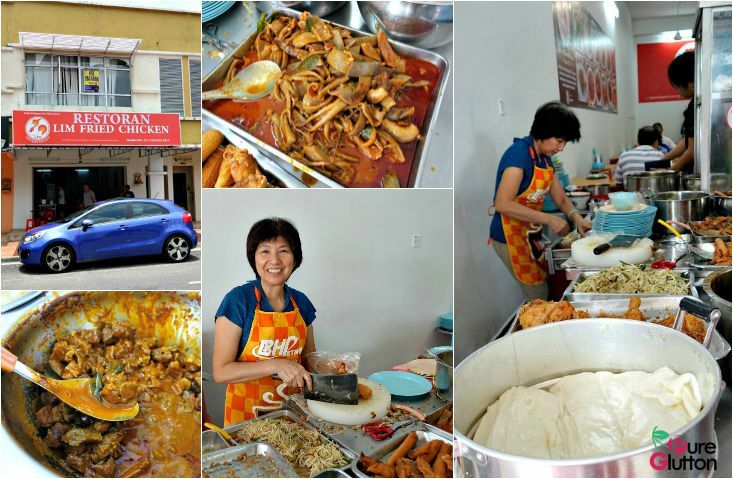 Meanwhile, Mrs Lim would be piling food in lightning speed for the hungry crowd. Recently in June, the Lims decided to take their business to a brand new premise in Glenmarie. I’m so happy for them that their business has flourished although it means I have to go further to indulge in their fried chicken. Oh well, I’m not complaining, especially when the food is worth the extra travelling. While there is also another outlet in SS15 Subang Jaya run by their son, I still prefer to eat at this outlet operated by Mr Lim and his wife. 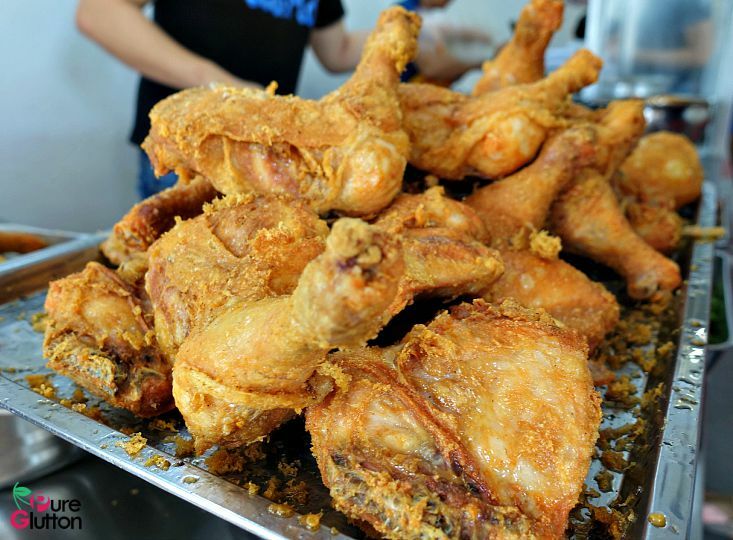 The fried chicken is just as good as ever: golden crispy skin and tasty tender juicy meat underneath. Mr Lim has been doing this for more than 30 years and the quality has been consistent. The LFC outlet is Glenmarie is a simple set-up: the food counter is right at the front and tables are all arranged to fill up the shop. 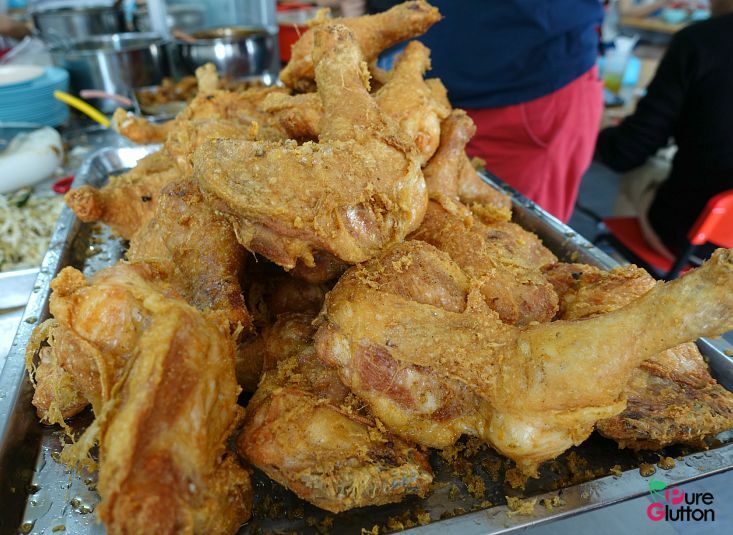 The chicken is fried in the kitchen at the back of the shop and brought out continuously to the counter. Customers line-up to order their food at the counter where Mrs Lim will dish everything on their plates. Most of the diners will carry their own plates to their tables but if the order is big, then the service staff will bring the plates over. 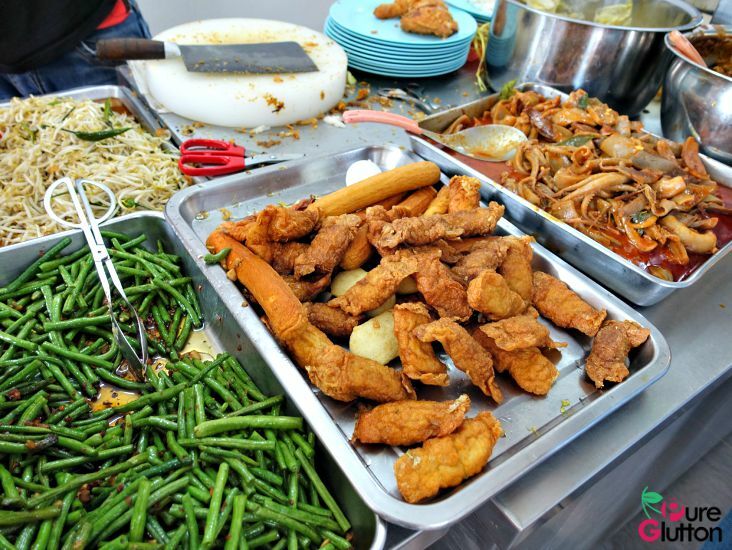 Besides fried chicken, there are the usual Lim signature dishes like sambal sotong, mutton curry, assam fish, stir-fried long beans, cabbage and some fried items like fuchook, sausages and fishcake. Have these with rice or chee cheong fun. 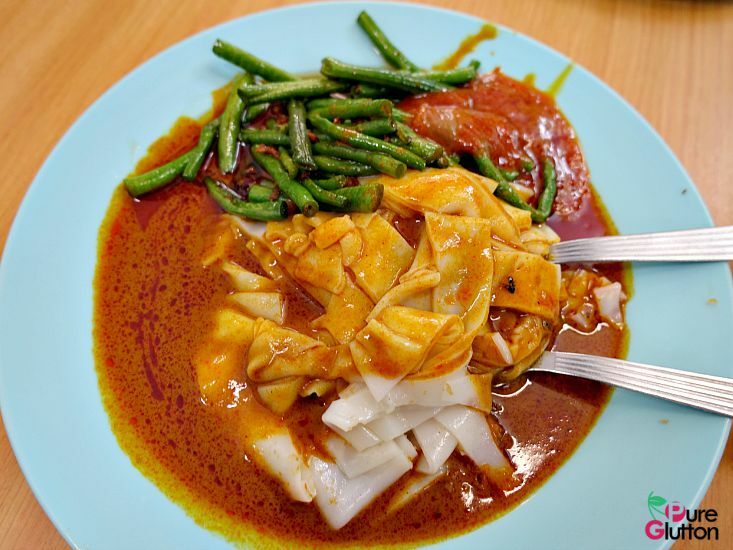 My favourite is always the chee cheong fun doused with lots of curry! 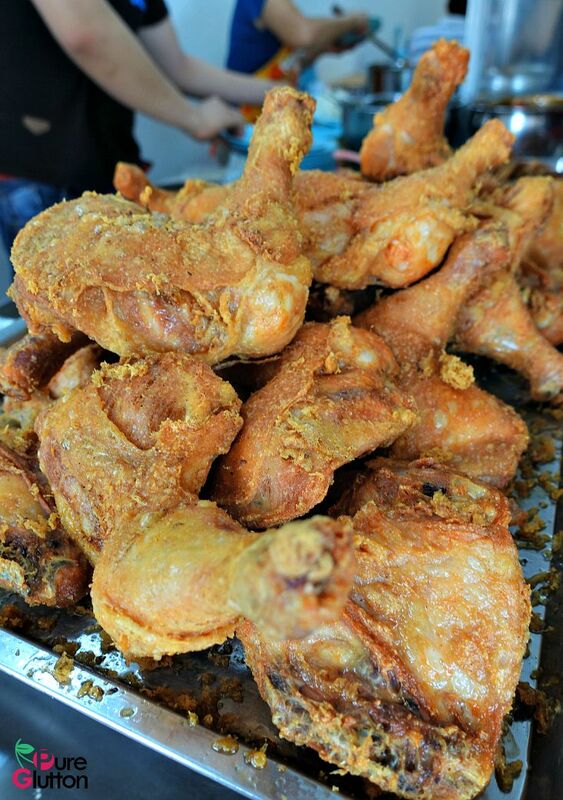 The fried chicken cuts are huge – a whole thigh goes for RM6.50. The best thing with this new shop is that I can get to enjoy their fried chicken as early as 8am! 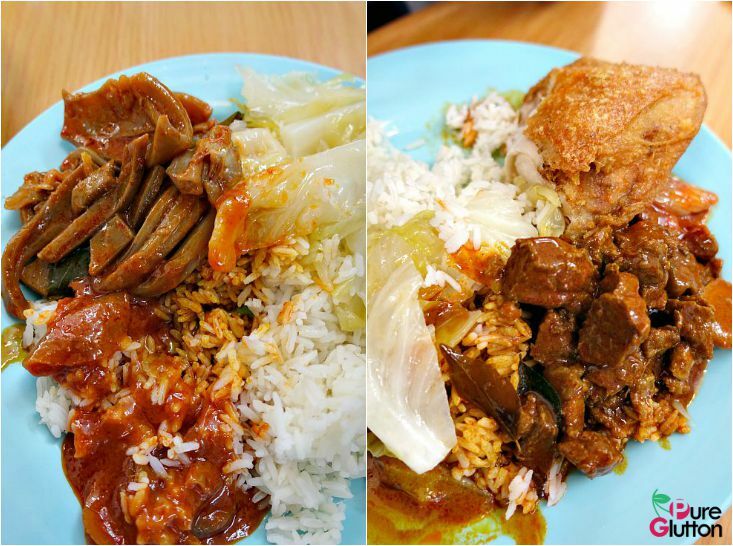 Back in the old place in SS14 Subang Jaya, they only start serving this from 2.30pm onwards. Here in Glenmarie, service is until 5pm or until food runs out, whichever comes first.